Should you bother wearing the Sunbracers Exotic Warlock Gauntlets in Destiny 2? 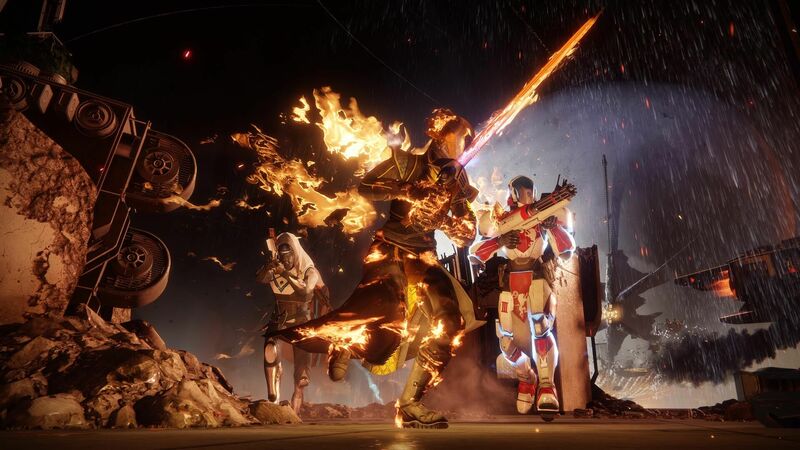 As casual players begin returning to their normal routines, dedicated Guardians are starting to get a sense for what gear works and what gear doesn’t in Destiny 2. We’re beginning to arrive at objective conclusions for whether something should be locked away in our vault until it’s patched into relevancy, or if we should wear it above all else. With Xur’s Week 2 wares including the Sunbracers Exotic Warlock Gauntlets, it’s as good a time as any to review this item and see what it’s worth. The Sunbracers Exotic Warlock Gauntlets, as mentioned, are available through Xur right now, but that will end and you’ll have to get the from a drop once he’s gone. If you don’t own them, grab them no matter what. There is no harm in owning every Exotic piece of gear for your class. Be prepared for the game to change and currently insignificant items to become essential. Here are the perks of the Sunbracers Exotic Warlock Gauntlets in Destiny 2. Helium Spirals: Increases duration of Solar Grenades and grants grenade energy on Solar melee hits. The Sunbracers should also come with a Kinetic Munition Loader that will improve the reload speed of your Kinetic weapon, and raise the Defense rating of these Gauntlets by five. That’s important to know if you plan to infuse these into something, or something into them. The Sunbracers are a very niche Exotic. The only reason you’d really be interested in using them is to double the duration of your Solar Grenade. However, the effectiveness of that is tied directly to whether you can keep your target inside the grenade’s area of effect for the full eight or so seconds that it will last with the Sunbracers. Therefore, it’s probably not helpful for you to wear the Sunbracers because you plan to use your Solar Grenade on random enemies or in PvP. Instead, it would be something you purposely use on a boss who isn’t likely to wander out of the area of effect in the eight seconds. How could the Sunbracers be useful? Imagine for a moment that you’re completing a Nightfall with a Solar burn, be it permanent or through the Prism mechanic. If you can land the Solar Grenade on the final boss while wearing the Sunbracers, enjoying the effects of the Solar burn or Solar Prism, you could do a huge amount of damage in a short amount of time. Of course, this is assuming everything works out perfectly in your favor, which is rarely the case. For more help with Exotics and your general PvP and PvE journey, be sure to visit the Shacknews Destiny 2 complete strategy guide. We’ll cover everything you need to know to help you become the most powerful Guardian you can.